Without the likes of Dante, Poe, and Dickens, Matthew Pearl's latest historical fiction aims to stand on its own without the benefit of more widely known personas. Instead, he centers on founders, professors, and classmates of the Massachusetts Institute of Technology (MIT), opened in 1865 (founded in 1861) at the dawn of the industrial revolution. Although lesser known, many of the characters are real and notable. William Barton Rogers championed the institute. Charles Eliot was set on merging MIT with Harvard College's Lawrence Scientific School. Ellen Swallow was the first woman admitted to MIT. Her future husband, Robert Richards, was a member of the crew team and class of 1868. There are others too. Historically, Boston was undergoing several dynamic transformations. It was already one of the largest manufacturing centers in the nation, well regarded for its garment, leather goods, and machinery industries. And it was especially suited to commerce, given its growing river and railroad networks. Waves of Irish and Italian immigrants had ensured a continued population boom, but it created tensions between these new Catholics and a largely Unitarian upper crust. The Brahmin elite had also established a cultivated and urbane social expectation. And the looming industrial revolution of the next century wasn't unilaterally trusted as it strove to replace men with soulless machines. The fictional mystery that intersects with Boston history. Pearl immediately sets a near steampunk tone to the book, with a technological disaster taking place in Boston Harbor. As a cargo ship attempts to guide itself into port, one disaster after the next begins to befall it until the captain realizes his vessel is not alone. More than a dozen other ships have lost their navigational instruments, sending some into the wharf and others into each other. The dizzying and fiery scene won't be the first or last disaster to unfold in Boston. Not too long after the harbor incident, the business district will explode in a panic as every watch face and pane of glass buckles and melts, appearing to come alive and even encasing at least one helpless victim. While witchcraft and technology are equally suspect, the more humorous scientific conclusion proposed by Professor Louis Agassiz is more entertaining. Rogers' scientific rival suggests that Boston is the victim of its own growth. Its burgeoning population has unbalanced the tectonic plates beneath it, causing a shift in the magnetic field and causing mysterious gas leaks. The boys and girl of Massachusetts Institute of Technology. With newly formed MIT already drawing the ire of Boston for embracing godless science, inventing technologies that could put people out of work, and accepting average citizens to become educated gentlemen, the founders of MIT aren't willing to draw attention to themselves by solving the puzzle, at least not openly. That leaves a handful of students, who are also expected to maintain discretion, to get involved. At the helm of the detective work is Civil War veteran and machinist Marcus Mansfield, a commoner given a scholarship to attend the school. Along with him are Robert "Bob" Richards, Edwin Hoyt, and Ellen Swallow. It's these four who become become the original Technologists, a secret society that is very different than the one they cross paths with at Harvard. It's also with this steampunk version of the Breakfast Club that Pearl weaves a historical detective story that sometimes touches on greater literary ambitions. Throughout, minor historical plots and conflicts are used to distract from the primary mystery — ranging from university rivalries and scientific debate to open class warfare and gender inequality. A couple graphs about author Matthew Pearl. Matthew Pearl does find himself somewhat at home in writing about collegiate life, even if it is from a different era. 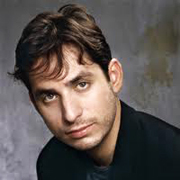 He is a graduate of both Harvard University and Yale Law School. He also taught literature and creative writing at Emerson College and Harvard University, and is still a visiting lecturer in law and literature at Harvard Law School. Although reasonably accurate and plausible, it is anyone's guess how his alma mater might feel about the presentation of the school, professors, and students. However, Harvard did struggle under the control of secular and societal influences of the age. Ironically, it was Eliot who eliminated the favored position of Christianity from the curriculum. Technologists By Matthew Pearl Strikes 5.8 On The Liquid Hip Richter Scale. At its best, Technologists delivers several intense moments, handles numerous societal conflicts handily, and smartly portrays a society that saw Frankenstein not as fiction but as potential fact. At its worst, the novel sometimes becomes unbalanced from chapter to chapter, lost in its own stereotypical stuffiness, bravado, and a hefty back story. Expect it to take some time before finding its pace after the first chapter. 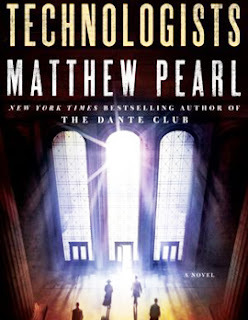 Technologists: A Novel by Matthew Pearl can be found on Amazon. The novel is also at Barnes & Noble and can be downloaded from iBooks. It is also available as an audiobook from iTunes. Listeners might question Stephen Hoye's narration at the front of the book, but his selection becomes apparent as he handles a large cast of characters effortlessly, giving each a unique and believable voice. In addition to the book, Pearl has written several stories and a prequel related to Technologists. The stories focus on William Barton, Marcus Mansfield, Edwin Hoyt, and Ellen Swallow. Anyone who find themselves enjoying the book will no doubt want read a few shorts that Pearl ran out of room to include.